So, you’re going to be Superman. Congratulations! You could not have picked a better character! Superman is one of the greatest superheroes to ever grace the pages of DC comics. You’ve selected the perfect outfit and you plan on showing the world all about truth, justice, and the American way. We just have one question. What’s going on your feet? Sounds like a silly question, right? Well, if you plan on playing the hero, you need to be feeling like a true superhero from head to toe. And you definitely don’t want to leave your toes feeling very unsuper while the rest of you is feeling more powerful than a locomotive. 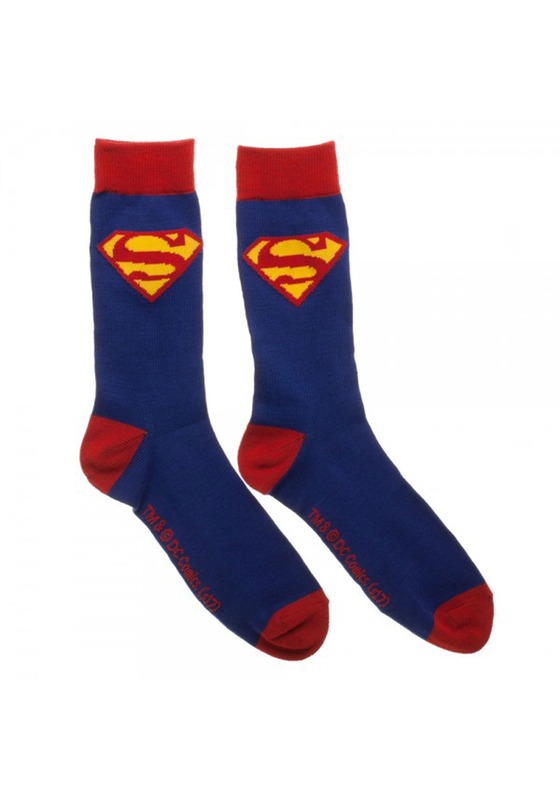 That’s why we recommend these Superman socks. Yes, these Superman socks are designed to deck your feet out in superhero fashion! This 2 pack comes with 2 different pairs of blue socks, both with a Superman theme. Just slide them on your feet and you’ll start to feel a little more like a Kryptonian. 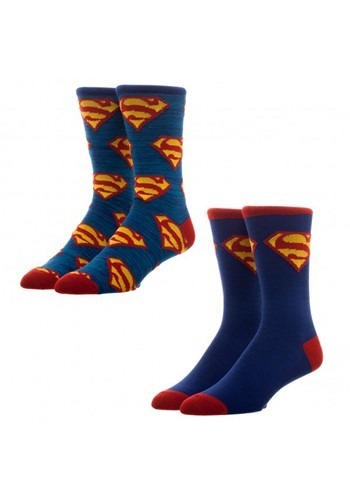 You can wear these with your wicked rad Superman costume, or just add them to your daily rotation of apparel. Either way, your feet will be feeling mighty tough when you wear these socks!